On 29th March, an IATF 16949 Roll - Out Event was hosted by AIAG in Shanghai to help attendees understand the changes from the latest edition and what they mean for their organization. 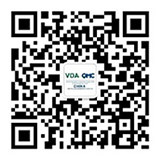 The General Manager of VDA QMC China, Mr. Tilman TiIlmann, contributed to the IATF16949 Roll -Out Event by presenting not only major changes that come with the revised standard, but focussed on important steps that need to be regarded for its implementation and the possible ways in which VDA QMC China can support. Drive with us into your future!